American explorer who, in 1955, became the first woman ever to fly over the North Pole. She is remembered for her books detailing her many scientific expeditions, including 1935's The Fiord Region of East Greenland and 1948's The Coast of Northeast Greenland. She inherited her family's fortune following her parents' deaths in 1920, using her new-found wealth to travel the world. She broke down gender barriers of the time by becoming the first woman to be elected to the Board of the American Geographical Society. Her parents were John Franklin Boyd and Louise Cook Arner. She had two brothers who died when she was a teenager. 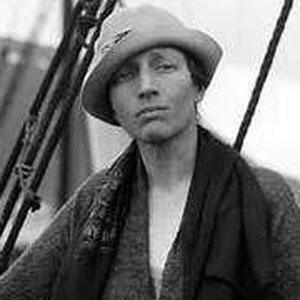 She led an expedition in search of missing fellow explorer Roald Amundsen in 1928.